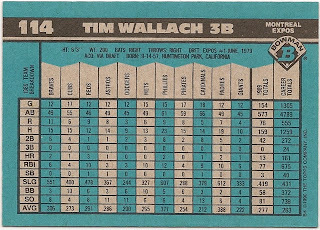 Card Review: 9.7 In theory, I shouldn't be wild about the idea of a Jamaican themed front design for a base set, or this style of stats used on the back, but it somehow 1990 Bowman makes it all work. 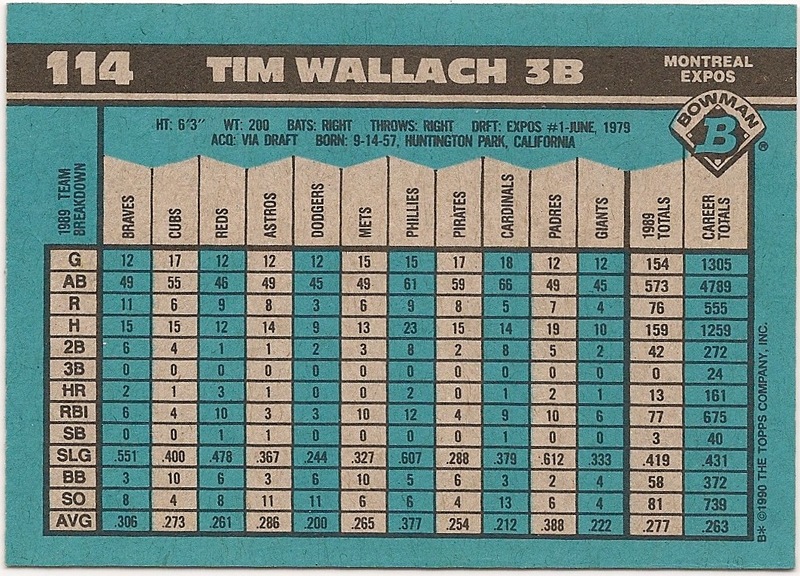 I consider this the last truly great Wallach card. In 1992 the baseball card as it had traditionally been known and defined, ceased to exists. There were few holdouts in 1991, but none that I like as much as this Bowman. I think this set as a whole, is wildly under appreciated. 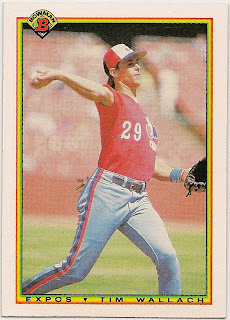 Topps was taking risks with the early Bowman reboots, and they didn't get any credit for it until the mid-90's when the '92 set was suddenly deemed "scarce" (I don't believe it to be any less common than any other '92 set). I actually would bet on this '90 set having lower production runs than '92. I remember having an extremely difficult time finding this card in 1990, and actually had to resort to buying an Expos team set. Nobody on my block was buying much Bowman, and I bought out most of the only box of it I saw in a store all summer trying to pull this one.